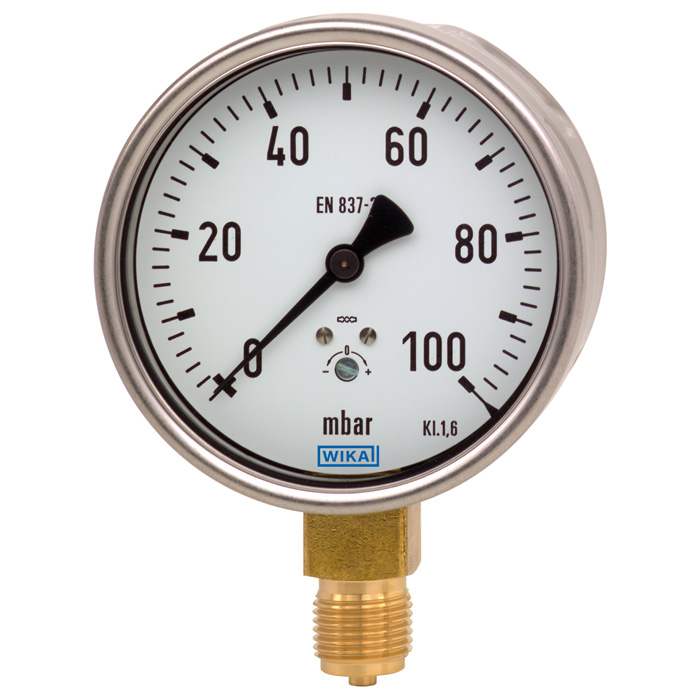 The model 612.20 capsule pressure gauge is based upon the proven capsule measuring system. The capsule measuring principle is particularly suitable for low pressures. 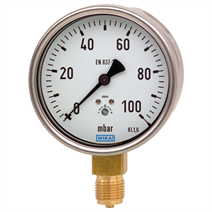 On pressurisation, the expansion of the capsule element, proportional to the incident pressure, is transmitted to the movement and indicated. The case and the bayonet ring are made from stainless steel. The material of the process connection is a copper alloy.